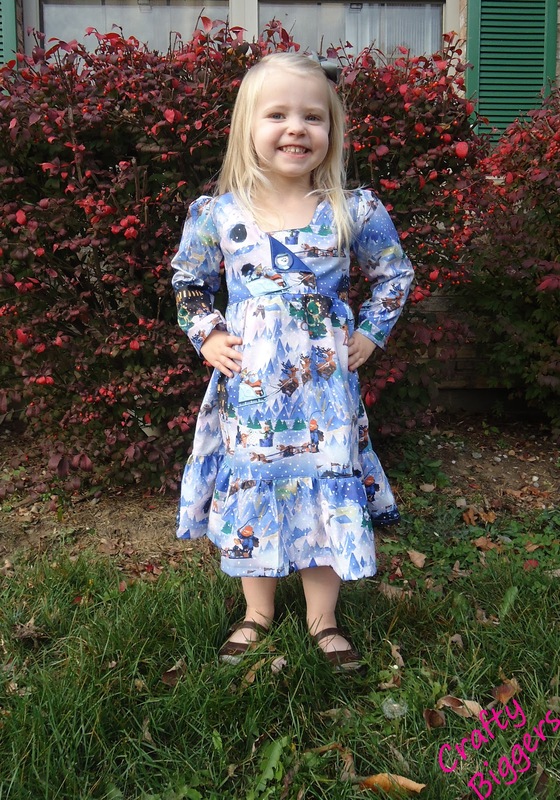 Back in October I did a pattern review for a long sleeve Empire Dress by Whimsy Couture. It is definitely one of my favorite online pattern shops. 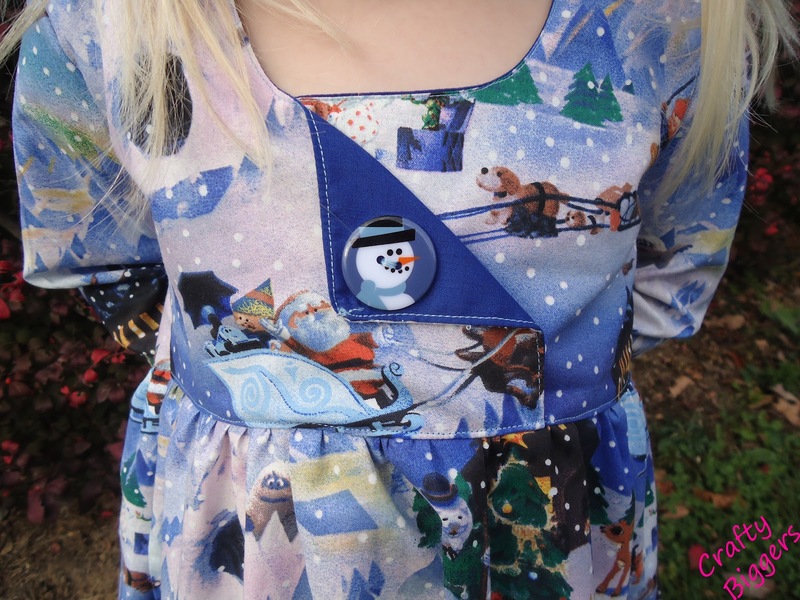 I saved this post for a while because the fabric I chose it scenes from the classic Rudolph movie and when I sewed it it wasn't even Halloween yet. When we lived in Texas the local Walmart was getting rid of their fabric section *HOW DARE THEY! * and I nabbed a few really cute fabrics at next to nothing including 4 yards of this awesome pattern. I wasn't really sewing much back then or I would have grabbed way more fabric than I did. Live and Learn. 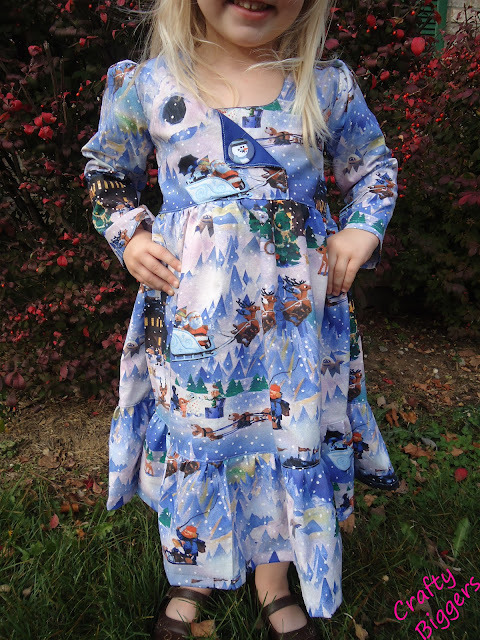 I had been looking everywhere for a cute and simple long sleeve dress for the cold months so when I spotted this pattern I knew I had to make it. With no zippers or buttons (aside from the faux one in front) this was super easy and great for twirling. I even had enough of the fabric left to make a matching dress for my 5 year old as well. So far every time the girls wear them they get TONS of compliments and I was able to complete each dress in an evening. Can't beat that. 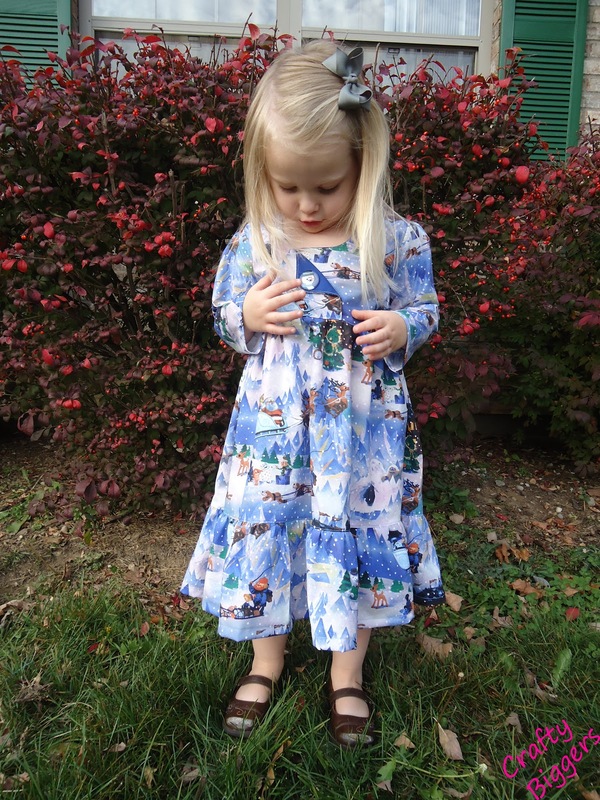 What are you sewing for the cooler months? Do your girls have an aversion to pants like mine?